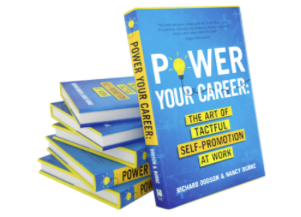 Mark your calendar for our Career Management session with Nancy Burke and Richard Dodson based on their book "Power your Career: The Art of Tactful Self-Promotion at Work." Tactful self-promotion is a critical competency for finance leaders, whether you are: a leader wanting to create more visibility for your department and yourself; at mid-career and interested in expanding your influence; or just starting out your career. Everyone needs to increase their visibility if they want the opportunities, recognition and the rewards that they deserve. This is a fast-paced, interactive presentation that will help even the most reserved to increase their visibility without violating their integrity and values (and without triggering a panic attack!). Nancy Burke and Richard Dodson have a total of 40+ years doing career coaching. Based on their work with, literally, thousands of people who were interested in advancing their careers, the presenters have created a model, strategies and tactics. Every attendee will receive a free copy of this great book! Nancy has spent the last two decades helping people find their best places in the work world. She grew up in Human Resources roles at Pillsbury, US Bank and Jostens followed by an SVP role with Lee Hecht Harrison, a leading global career services firm where she led the Midwest and Twin Cities career transition practices for years. 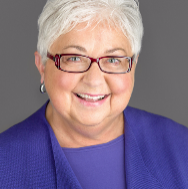 Now, Nancy provides coaching through her company, FuturePerfect, and is also a founder and principal of Burke&Penn, a business that helps people 50+ plan their futures in life and work. Nancy also has a passion for fireworks! 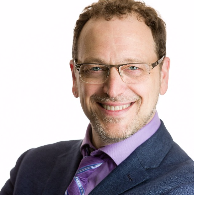 Through his writing, speaking and consulting, Richard empowers careerists and entrepreneurs to raise their visibility, unlock opportunities, and earn more recognition and reward. After years as a VP with Lee Hecht Harrison, where he coached more than 1000 clients through tough career challenges, he recently launched Artisan Digital, an agency focused on digital publishing, e-commerce and launching experts into the digital space to increase their impact and income. Richard's career began at age 14 with his first paying job as...a magician! The event will be free for FEI members and $15.00 for non-members. Free parking will be available in Boulay Group's parking ramp which includes above uncovered parking and a lower level of covered parking in case of snow/rain.